Because accidents and mishaps happen when you are least expecting them to. And most of them are out of our control. That’s why having travel insurance that covers you for your travels is very important. Travel insurance can be complex and is often very confusing. Ensure you read the policy and understand what you are covered for. Cancellation fees and lost deposits incurred by unforeseen circumstances which require you to cancel your trip. Overseas medical, dental and emergency expenses. Minimum of $100,000 coverage. Very important if you get sick or injured and are in need of serious medical attention. Emergency flight home if required. This should mean to your home country. Be careful when taking out insurance in a country other than your own because the emergency flight home might only be within that country and not your home country. For example, if you take out travel insurance in London for a trip to Europe and something happens in Europe, your insurance will only cover you being repatriated (returned) to the country you took out the insurance, ie. UK. Loss, theft or damage to your luggage. Working holidays – some travel insurance policies don’t cover you if you start to work, therefore ensure your policy does. Is there a 24-hour telephone number obtainable from anywhere in the world in case you need assistance? Can the policy be extended for longer than 12 months if you decide to stay longer overseas? Are pre-existing medical conditions covered? What happens if you are injured and need to be flown home? Are goods you purchase covered? Will it cover personal items stolen from the hire car or accommodation? Can you make a claim while overseas or do you have to wait until you return home? Whether you are covered for participation in specific activities like whitewater rafting, sailing, winter sports, parachuting, mountaineering, etc. If you’re booked to go skiing, does your insurance cover you for piste closure when there isn’t enough snow? Whether expensive items like phones, cameras, video equipment, computers, etc., are covered as these aren’t usually covered in general policies. It is wise to shop around for travel insurance. Get a number of quotes. 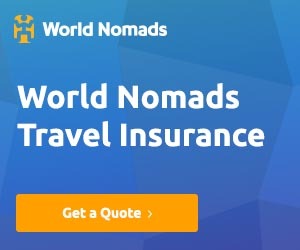 WorldNomads is a great place to start. They offer comprehensive insurance at great prices. Please note: London Working Holiday has joined the World Nomads affiliate program. If you purchase a policy we receive a commission which helps us to keep this site running so we may continue to connect you with relevant information, contacts and products for your travels.